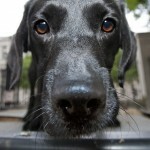 Owning a pet can bring a tremendous amount of joy to your life. At the same time, no one ever wants to see their dog or cat suffering from pain. 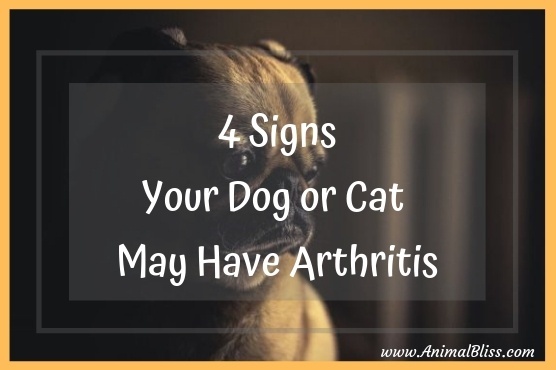 Unfortunately, arthritis is a fairly common problem in pets, which makes it something that every owner needs to be on the lookout for. The good news is that the issue is often treatable as long as it is caught before the problem progresses too far. With this in mind, here are four signs your dog or cat may have arthritis. Animals with arthritis will often start to limp or walk differently as they try to favor their non-arthritic legs or joints. Similarly, you may notice that your pet no longer moves around as well as they once did. 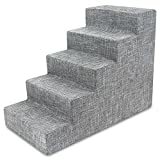 For instance, your dog or cat may suddenly have problems going up and down the stairs or jumping up on the furniture. 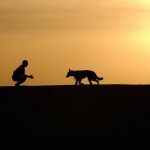 These problems are often especially noticeable earlier in the day and may then fade later in the day as your pet moves around and loosens up their stiff, arthritic joints. Other signs your dog or cat may have arthritis are licking, biting, or chewing at their joints or the areas on their body that are causing them pain. This is another thing that you’ll want to stay on the lookout for. However, it is important to note that animals will do this whenever they are in pain, which means that this behavior could indicate that they have arthritis or that some other issue is causing them pain. Just as with people, animals that are in pain tend to become more irritable. 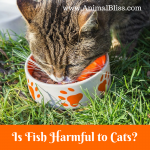 You may notice that your dog or cat suddenly starts snapping or lashing out, or that they suddenly no longer want to be touched since this could increase their pain. This is especially common when you happen to touch them in the areas where they are the sorest and thus most sensitive. Animals with arthritis also tend to tire much more easily than before and may end up spending far more of their time resting or sleeping than they once did. 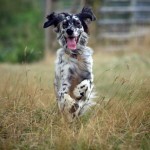 This problem is especially common with dogs, and owners will often notice that their dog can no longer take long walks and will be far more tired than usual once they get back home. The good news is that there are some arthritis treatments and medication that may still allow your pet to live a normal life. 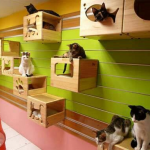 Of course, the first step is to schedule an appointment with your vet so that they can make a proper diagnosis. In some cases, a thermal camera can be used to quickly and painlessly diagnose whether or not your pet has arthritis. 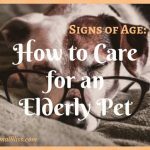 Therefore, it is vital that you speak with your vet as soon as you notice any of these possible signs. 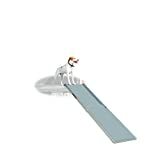 Does your dog or cat have arthritis?